Dogs Life BoardingDog Boarding Sacramento, Country Style! 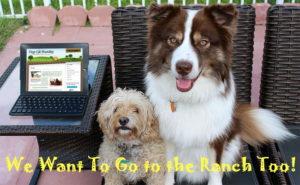 For dog boarding in Sacramento Ca, come to Dogs Life Boarding where friendly dogs can go “free range”, socialize in a country setting, and relax in a family atmosphere. 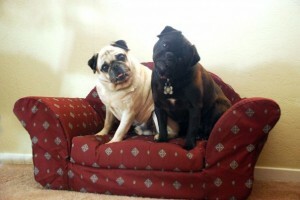 For dog kennel free Sacramento dog boarding, call us at (916) 992-0678. 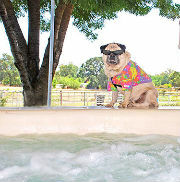 Board your dog here when you vacation, travel, or anytime, and your dog will receive the best “just like home” care in a dog loving atmosphere. At Dogs Life Boarding, we offer a unique, low stress boarding experience for your beloved fur baby. Your dog will enjoy large fenced play areas, where dogs of compatible size and play style can socialize and relax. They enjoy a beautiful ranch atmosphere and lots of TLC and supervision. We welcome well socialized little buckeroo’s to be a part of the pack. We are located near Sac Int Airport, I 5, I 80, and hwy 99/70. Let us care for your dog while your away. We have excellent references, and many satisfied customers. We love dogs!! We love taking care of them! Your dog will look forward to his visit to Dogs Life Boarding! We offer an alternative to concrete and steel kennels with little socialization or attention. We will treat your dog with loving attention as if your ” fur baby” were our own. Once your dog has stayed with us the first time, they will be happy to get back to “their little country place” on their next visit. You will also have peace of mind that they will be well cared for …and happily await your return. View our sacramento dog boarding rates here. We may be out “playing fetch” so leave a message if we are not in at the moment and we will get right back to you. May we care for, and love your dog, the next time you need dog boarding in Sacramento? Sacramento City-Voter 2017 “A List” Results!